The vertebral column contains structured spinal bones that help in fluid movement and shock absorption. Sacral vertebrae, thoracic lumbar and cervical are the areas where spine curvature can be noticed. In rare cases, the vertebral column bends abnormally to one side and this curving is recognized as Scoliosis. When the spine bends to the right side, the condition is known as Dextroscoliosis. 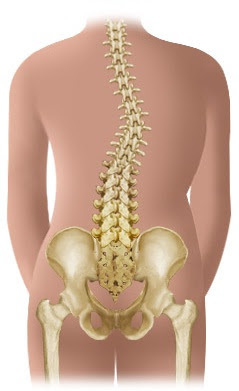 People with a small degree of right spinal curvature do not experience pain. In case of large curves, the patients face difficulty while doing routine activities like twisting around and bending down. To diagnose the disease, patients require spine X-Ray, MRI scan and CT scan. “The bending of the spine to the right side”. Dextro is originated from Latin word which signifies “the right side”. Basically, the right side curvature is a deformity that can develop in adulthood or present in a person since birth. Particular inborn conditions like Marfan’s syndrome and muscular dystrophy are also related to Scoliosis. Almost 10% of young persons may have some degree of curvature; however, only 1% of them need medical consideration. Dextroscoliosis is observed in males as well as females, but the spinal area of girls is more sensitive to boys. 1. Inborn Dextroscoliosis patients do not feel any complications; however, significant abnormalities are noticed during medical examination. 2. Basically, the spine is twisted to right direction and the subsequent scapula is noticeable. 3. Moreover, one hip is higher than the other side. It is the reason; patients face trouble while doing daily activities. 7. The symptoms of Dextroscoliosis are not restricted to vertebral curvature. 8. The lungs in chest cavity cannot expand while inhaling, consequently, the patients feel a bit breathless. 4. Serious Dextroscoliosis patients need surgical correction through which the curved section of vertebral column is removed. After that spine is realigned by uniting the vertebral column parts together. Regular exercise and therapy are the ongoing treatments for the straightening of spine.